Indians Baseball Cards: Cards from Night Owl! A few days ago, I received a bubbleope from Greg over at Night Owl. 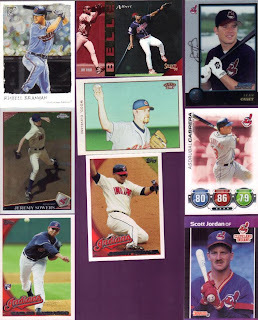 Inside was a fine collection of Tribe cards that covered several years and different brands, types, players, and more! Brad Komminsk played one season with the Tribe (1989) and later went on to manage the Akron Aeros. Tom Couston is the man that helped bring Jim Thome to the bigs. CC Shows off on some Topps Chrome while Aaron Laffey winds up on a 2009 O-Pee-Chee. 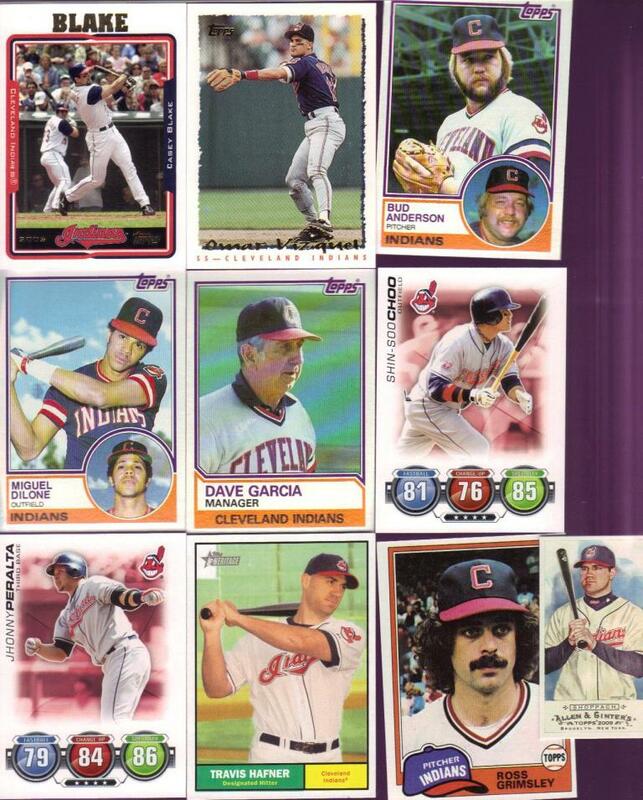 I am a fan of the holographic cards, especially the "Grand Slam" variety from Denny's! Greg included several 2010 Topps in here too! I have to say, I sure do like the '10 design. For good measure, we've got Thome himself as youngster. In the next group, we've got Attax, Topps Regular, some UDX, and a Gallery. I love the Gallery cards, especially the older ones that actually felt like canvas. Even though Branyan's is not one of those, it is a very cool card! What can I say about Wood? Welcome to the Tribe, the end of your career. I love my Indians, but I am also a realist: players come to be born here or to die here, passing through the Cleveland farm system either on to greater things to their MLB retirement. The great thing is that we Tribe fans can say "so-and-so" was a Triber once! Oh, yeah! We've got Blake, Dilone, Choo, Peralta and Pronk! Throw in the others and we've rounded out an eclectic collection of Cleveland clubbers! 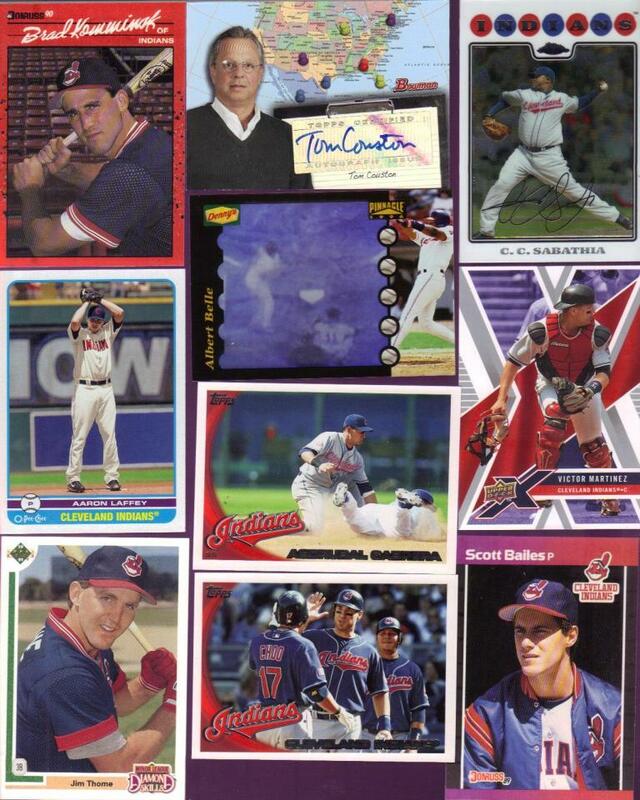 THANK YOU, Night Owl, for some GREAT Tribecards!! "player come to be born here or die here"
That's deep and sad. I feel for you Tribe fans. At least you don't root for Kerry's other team! Semi-Final sets up the Championship game!